Part of the permitting process for the Vandenberg project involved conduction survey dives of the proposed site. Bottom contour and composition, absence of significant marine ecosystem and coral growth, and absence of submerged cultural resources was confirmed. 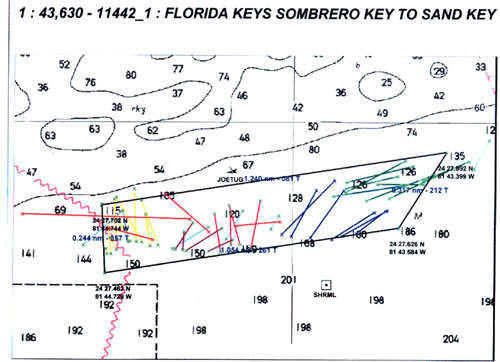 The colored lines represent individual dives.